The Malone PW-18A-M is a professional PA subwoofer with great performance and excellent sound quality. 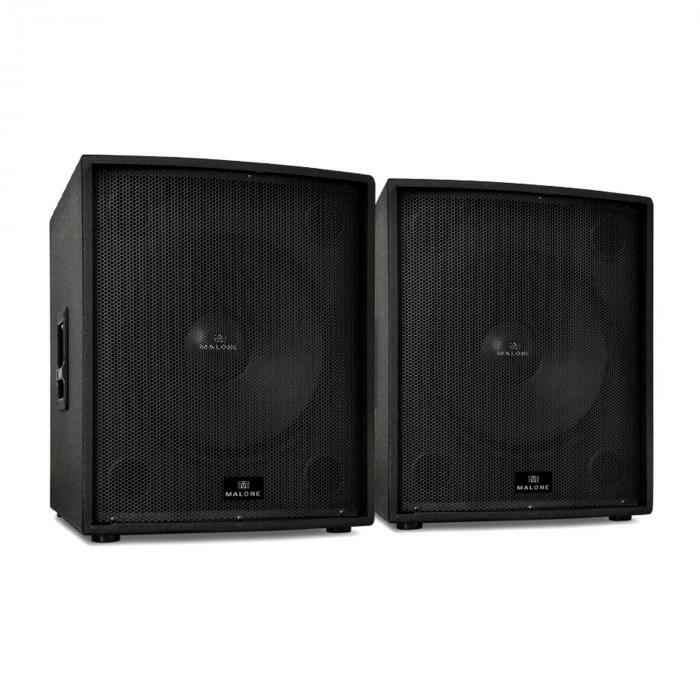 With up to 1250W RMS output neither low nor high frequencies are compromised at top levels, allowing for great micro and macro-dynamics. 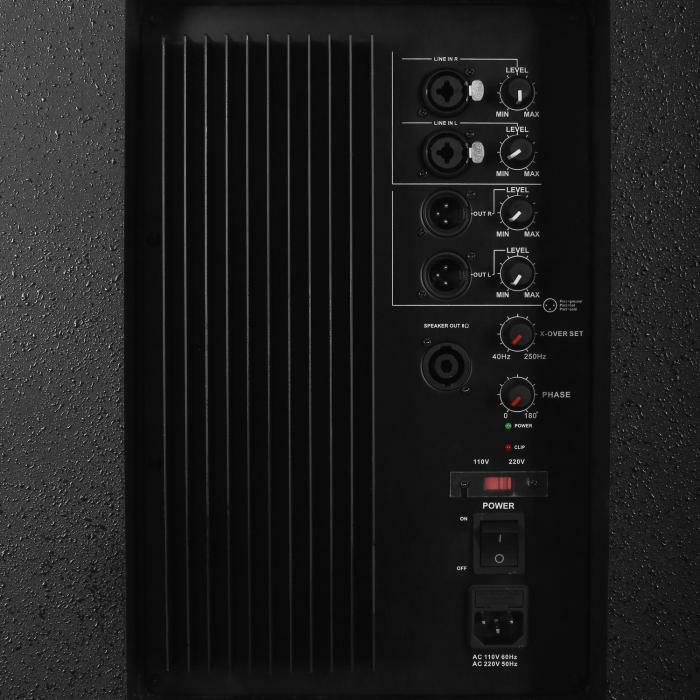 With the help of an adjustable crossover and 0/128° phase inversion you can adapt the sound to suit styles and room conditions. 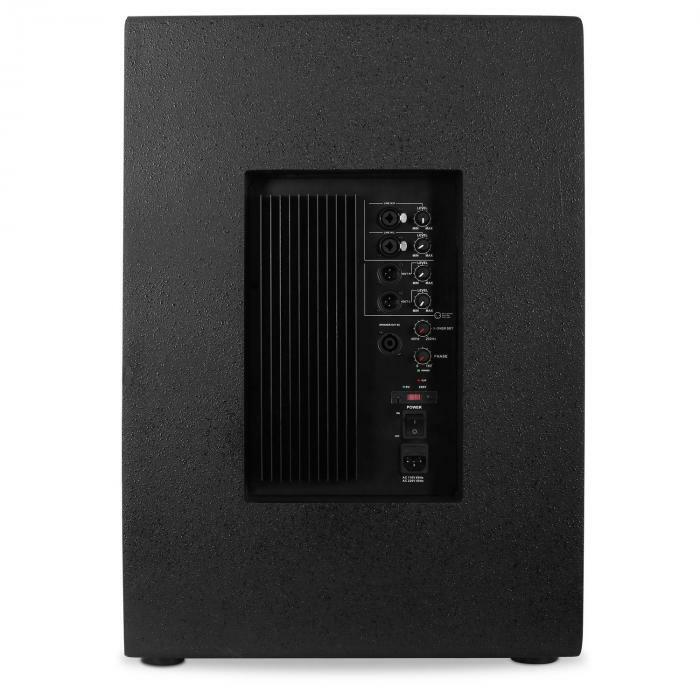 The speakers’ professional range of connection options gives it great usability in various environments. 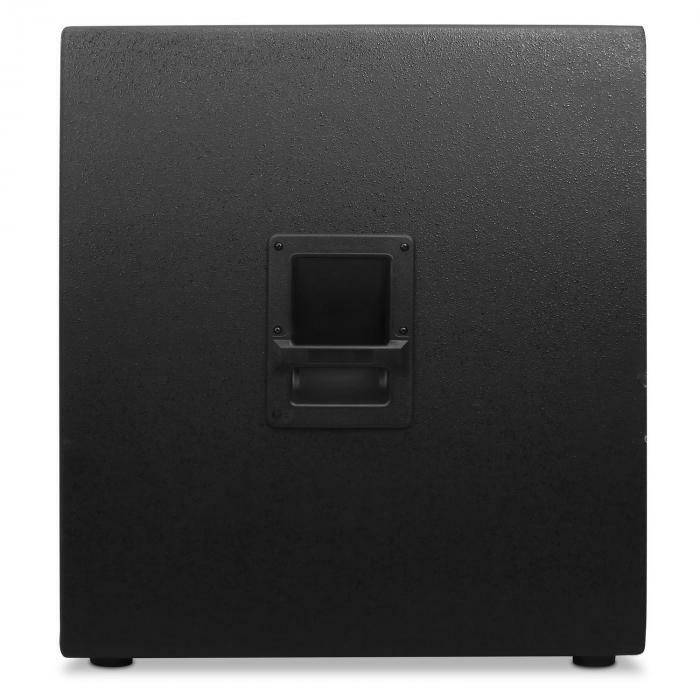 The Malone speaker can be placed on a stand or used as a 2-level stack via its standard 35mm connection. 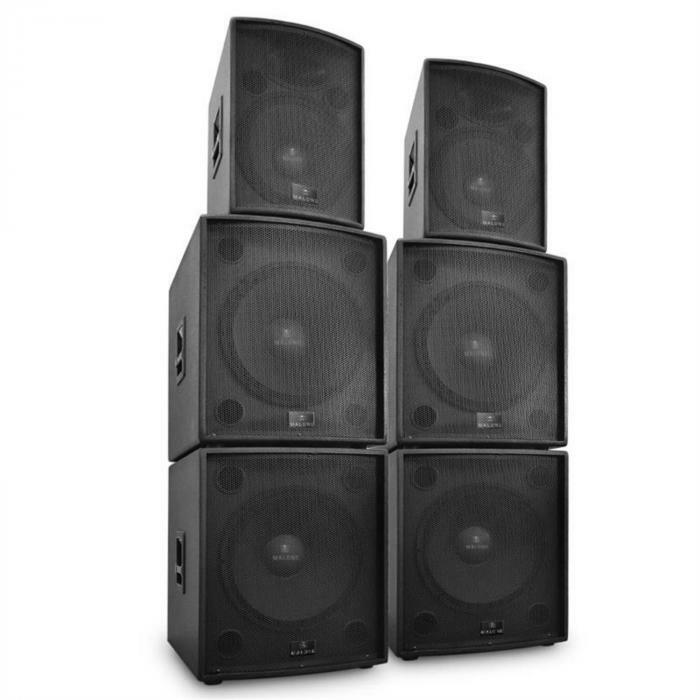 Set up and take down is made easy thanks to the speakers’ side bar handles. 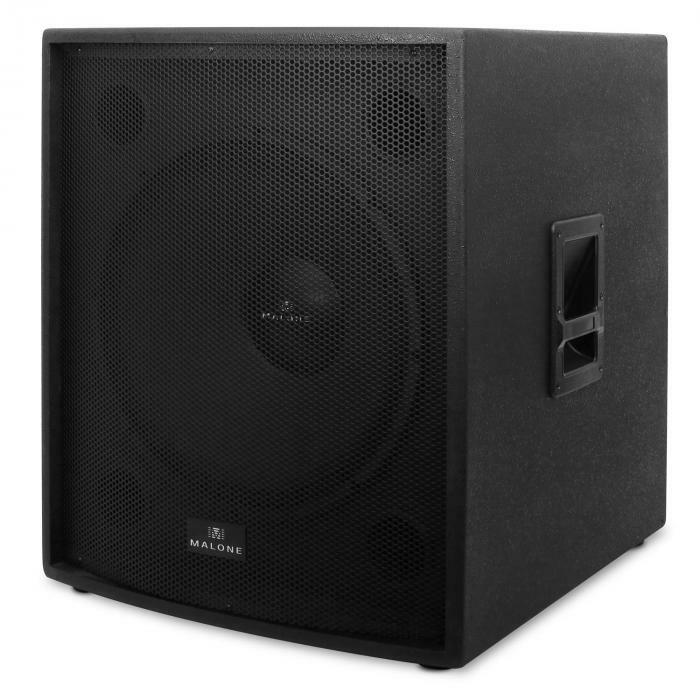 The tough, robust housing protects the active speaker against all the physical demands of touring. 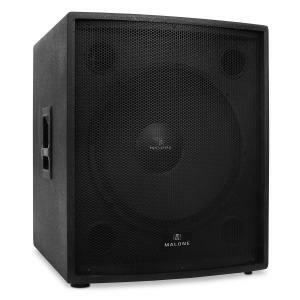 The whole package makes the Malone PW-18A-M the perfect PA speaker for concerts and other events for up to 550 people.